Artison Jewellery Designs for 2019 from our bespoke workshop. You probably haven't heard about us in the media before, we fly under the radar. Our dynamic team of artisan jewellers have been tirelessly working away in the background since 1981. 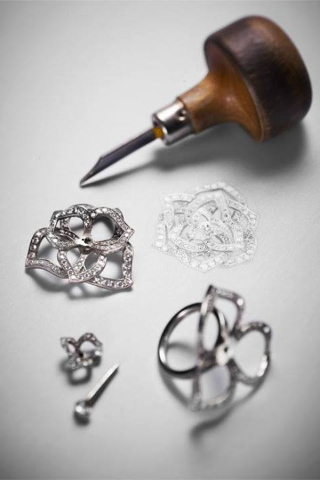 The international diamond corporation is one of Australia's largest and most prestigious jewellery manufacturing houses. iDC & Co manufacture white diamond engagement rings and coloured gemstone jewellery for many of Australias leading jewellery stores. We are a wholesale trade diamond merchant, coloured gem merchant and we supply south sea pearls and freshwater pearls to the trade. We have in-house rough diamond, coloured gemstone grading and sourcing capability and are able to source and polish diamonds and gemstones for our customers through our unique vertically integrated model. We source directly from the mines and polishers and are supply directly to the end user. Our team are completely unique in Australia no other company can offer such in-depth industry knowledge and capability. Located with its headquarters in sunny Queensland's capital Brisbane Australia, our team of artisan "hand make jewellers" create incredible jewellery designs and for the technologically minded, our CAD Jewellery design team create unique bespoke jewellery pieces including, engagement ring's, earrings, wedding bands, pendants, body jewellery, south sea pearl earrings and much more. We love a challenge get in touch today and enjoy the journey without the high retail markups, we guarantee no one can beat our quality or price. The best place to work, full stop. Our brilliant team of artisan jewellers love working in a co-operative environment, all working together to create the best possible hand made bespoke jewellery designs. The chief executive Scott van Iperen explains that when he first started the Omnia diamonds group back in 1999, a focus on workplace culture was nowhere to be found and for first five years, we had no real idea of what culture was. We developed an "passion” with culture, as he transforming Omnia Diamonds from a “unorganised” team to a team with a clear set of core purpose and values. Sticking to those values over time has led the business to considerable success, and all business actions and communications are driven around these values. Van Iperen believes it’s never too late for businesses to adopt the culture, the core is to focus on people and focus on business performance. “When hard times come, you find yourself focusing too much on the numbers and not enough on the people and culture, so it’s about finding that equilibrium.